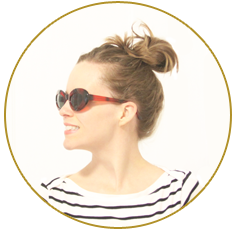 Ello Themes is a boutique design studio started by me, Reese, to offer chic & thoughtful custom design, branding collateral & premade templates to bloggers, small business owners, & anyone else wanting to have an awesome little corner on the internet. After years of working in a high traffic web design company creating website after website in a highly impersonal approach where quantity prevailed and a client's brand image didn't matter, I decided to leave it behind to offer web design & branding with lots of thought and attention to detail that is personalized to each unique client. While I personally handle most aspects of each project as well as the day-to-day running's of this little studio, I also get a bit of help & from time to time collaborate on projects with my artist husband. As the owners of several creative-based businesses over the past few years, we understand how hard it is to juggle everything & we love being able to create the kind of custom and personal web design and branding materials small businesses want and deserve. As a small business with less overhead, but the experience honed from a corporate firm, we are able to offer the same high quality design and development as a larger firm but for a better price with a more personal and creative approach. We love working with passionate, creative individuals and love collaboration, i.e. if you're an artist, blogger, or business owner with a strong vision of what you want your website/blog design to be, but don't have the skillset/time to code it, we would love to work with you to bring your vision to fruition on the web. We love custom work, if you have a project or projects, drop us a line, we'd love to chat!